Ever wonder how long it would take you to do laundry by hand? Luckily, with modern amenities such as washers and dryers, you won’t have to! However, if your kitchen or laundry appliances have seen better days, it’s time to call Mr. Appliance of Bloomington. We provide fast, reliable appliance repair services in Bloomington that will save you time and money. Don’t replace costly appliances, when we can have it working like new again. 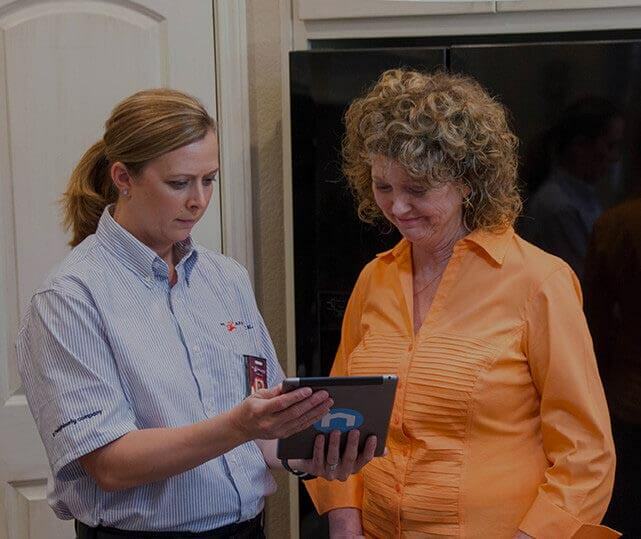 For over 20 years, Mr. Appliance has been the trusted name in appliance repair services across the nation. Our Bloomington technicians have the training and skills to provide reliable repair and maintenance. We understand the workings of all major brands and can make sure your appliance starts working like new again. We can help you save money by fixing your appliance, instead of you replacing it. Our services are convenient and affordable. We have trained and licensed professionals on the job to help you. Our technicians are licensed and insured for your safety. All our services and parts are guaranteed for one year. Let’s face it, you have enough to do in a day without having to deal with another task. Allow our team to get your laundry and kitchen units working like new again. Whether you need your washer unclogged in Normal, want your stove repaired in Eureka, or need help with your fridge in Danvers, we’ve got you covered. Are you ready to get started? Call (309) 808-6526 to schedule an appointment or enjoy conveniently scheduling services online! $20 Off Any Appliance Repair (Over $99) Not valid with any other offers or for diagnostic fee. Valid at participating locations only. Limit one. Locally owned and independently operated franchise.